I picked up this title off the top of my TBR stack and one thought came to mind… Didn’t I read this already? I checked my reviews for the past year and sure enough I reviewed a book called SOAR by Joan Bauer. It’s an inspirational story about a baseball loving boy who can’t play because of a heart condition. But this new SOAR has a different cover because it’s a different story. Strange that publishers doubled up on this title especially since they were both released the same year. I did discover names of books are not copyrighted in this helpful article. Now that this confusion rests, I’ll get on with telling you about the heartfelt tale of Eddie. He’s a birder like his father who recently passed away. After not reading any books where the main character has birding as a hobby, I’ve read two this summer (THE DRAKE EQUATION is the other). As a new seventh grader, Eddie’s voice rings true. He misses his dad, there’s a new girl in the neighborhood he likes, and his personal bully is after him again. This bully is different than most because Mouton has Tourette’s. He shouts out what seem like random phrases (Eddie-Shovel-Truck) and continually repeats them. Eddie’s quest to find a Golden Eagle in his neighborhood and to win a blue ribbon at the science symposium is what he wants the most. All of his problems and goals collide to provide a winning conclusion. Eddie is a character you won’t long forget. FULL PLOT (From Simon & Schuster) Eddie learned everything there is to know about birding from his dad, including the legend of the Golden Eagle, which Dad claimed he saw once down near Miss Dorothy’s pond. According to his dad, the Golden Eagle had wings wider than a creek and talons the size of bulldozer claws. But when Eddie was in sixth grade, Dad “flew away” for good, leaving Eddie on his own to await the return of the elusive raptor. When Eddie sees a bird he draws it and adds the information in his journal. He also adds a comment and question to his dad. They tell the underlying story of the hurt inside Eddie. Two themes common to middle grade kids are friendship and loyalty. They are both put to the test here in a fulfilling way. Included in the back of the book are Eddie’s Bird Log and a nice bibliography on where to go for more information on birds. The character of Eddie is spot on for a seventh grade boy. He knows the difference between right and wrong, but sometimes the wrong rears its ugly head and leads him to trouble. Eddie also is sensitive to the happenings around him and deals with the sometimes hurtful facts in a typical way for this age group. The chapters are short and usually end with a perfect kicker to make you read another. FAVORITE LINE: There’s something else to know about Mouton. He has Tourette’s syndrome, a brain disorder that makes him blurt out words, even if it’s at inappropriate times. The worst part is when he gets stuck on a word or phrase and then repeats until you can’t take it anymore. My mom says they’re called vocal tics. Mouton has the same one all the time (Yip! ), which gets worse when he’s nervous. I know I’m supposed to ignore his outbursts, but it’s hard to do that when he makes my life miserable on purpose. 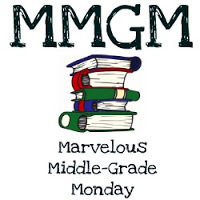 This entry was posted in Reviews and tagged male protagonists, Marvelous Middle Grade Monday, MG book reviews, Middle grade, Soar, Tracy Edward Wymer. Bookmark the permalink. oh, I adore Joan Bauer! When I discovered her I read all of her MG and YA books! Thanks for sharing her new book with me. Sounds like another story to fall in love with. How weird both books have the same title. If you look up titles on Goodreads, you’d be amazed at how many books have the same title. Thanks for sharing about another awesome story. Too many books of the same title can be confusing, but I’m surprised a publisher would use the same one in the same year. Interesting. Anyway, the topic of bird watching is unusual for kids, but maybe it will instill some appreciation for the gentle observation of nature. Beats those violent video game stories. But that’s my personal opinion. I tend to agree with your opinion. Thanks for stopping by. Your version of SOAR is certainly one of my favorites of the year. Keep up the great writing no matter what the title brings. It is quite interesting that we both reviewed book with main characters who learned bird watching from their fathers, who have died. It is a central theme of healing in SOAR and in the book I reviewed today, BE LIGHT LIKE A BIRD. We’ll have to trade books. I like that the bully has Tourette’s. Don’t see the syndrome in many books. Yes, I’ll be sure to check out BE LIGHT LIKE A BIRD for comparison sake. I hope both of these books will encourage kids to see birds in a different more complete way. My older son had a classmate with Tourette’s so I’m familiar with the vocal tics. He wasn’t a bully, though, and I thought the school handled the situation well. I’ve read THE DRAKE EQUATION too, so yes, isn’t it interesting there are two MG boy books in one year about birding? This one sounds lovely. I like that the bully is your standard stereotype. I think his having Tourette’s adds a lot to the story. I’ve been getting into bird watching myself in the last few years, so I think I’d really enjoy this. Thanks for featuring this! This sounds like a terrific book. Thanks for the thorough review. i will try to check this one out. I’m glad I am not the only one confused about similarities in new books this year. There were also a lot of dogs I had trouble keeping straight!